Thomas Widmer joined LALIVE as an associate in 2007. His main areas of practice are domestic litigation and intellectual property. He is a member of the Board of AIPPI (International Association for the Protection of Intellectual Property) Switzerland. He is also a member of the Copyright Standing Committee of AIPPI, the International Trademark Association (INTA) and the Association Romande de Propriété Intellectuelle (AROPI). 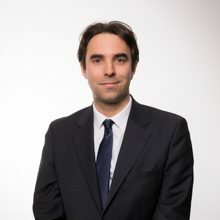 Before passing the bar-exam in Geneva and joining LALIVE, Thomas Widmer trained in Geneva with Rouvinet Eigenheer Beguin (2005-2006) and at the finance department of the City of Geneva (2004). He also participated as a member of the Geneva Law Faculty team to the 2003 Willem C. Vis International Commercial Arbitration Moot in Vienna. Thomas Widmer holds a law degree from the University of Geneva (2003) and also studied at the University of Utrecht, The Netherlands (2002). He also holds three World Intellectual Property Organization (WIPO) certificates (“General Course on Intellectual Property”, “Trademarks, Industrial Designs and Geographical Indications” and “Patents”). Since 2014, Thomas Widmer teaches the “Legal and regulatory approach” module of the “Business Communication, Web expertise and Social Media” course at the University of Geneva (Faculty of Economics and Social Sciences). This module mainly covers the legal framework surrounding e-commerce, intellectual property and data protection. Since 2017, he also teaches the “Intellectual Property” module of the Master 2 “Management and Business Administration” course offered jointly by the University of Geneva (Geneva School of Economics and Management) and the University of Savoy Mont Blanc. Thomas Widmer of Lalive is praised by clients for being "very pragmatic and to the point." He is also highlighted for his responsiveness, with clients noting: "He is always available and gives me quick answers." He has a particular focus on contentious matters, representing clients in disputes concerning licensing, trade marks, unfair competition and counterfeiting. Thomas Widmer of LALIVE is active in arbitration and litigation related to trade marks and patents. Clients say that he displays "very good technical knowledge, effectiveness and very good client service." Clients appreciate Thomas Widmer of Lalive for his "swift responses and knowledge of IP-related issues." Sources further remark: "He's extremely reactive and he does very refined research on all points. He has a very precise outlook on cases." He has been active in counterfeiting and unfair competition matters. Thomas Widmer of Lalive is "responsive, supportive and knowledgeable," say interviewees. Widmer's analytical skills are also commended. France - Union Européenne - Suisse - Continent Américain, 9th ed., Lexis Nexis, pp. 909-938. For further information, see the outline.